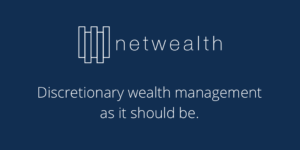 Netwealth is a wealth management service, launched in the UK in 2016, that seeks to combine a qualified team of advisors with a strong online service and an investment framework that uses cutting-edge technology. The approach is designed to allow clients to access Netwealth's online investment service and engage with a financial advisor at any time. Somewhat confusingly there appears to be an Australian Netwealth which shares an almost identical url which operates under the same company name as the UK version (Netwealth Investments Limited). However, they have different branding and neither site makes any reference to the other. So without any clear connection between the two sites, users must assume they are separate entities. Yet such confusion is far from ideal as is evident below when I encounter the Australian firm's mobile app whilst unsuccessfully looking for the UK site's own version. Netwealth is primarily a wealth management service offering online planning tools designed to help customers create the right portfolios that will achieve their financial goals. Portfolios are created using passive funds and exchange-traded funds (ETF) which provide exposure to markets whilst reducing the impact of costs on investment returns. In addition, to the standard online service, it provides access to professional advisers with the aim of providing the comprehensive service often required by investors who are looking for guidance in maximising their investment returns. When you first open an account with Netwealth the only information that they request is your name, email address and a password. 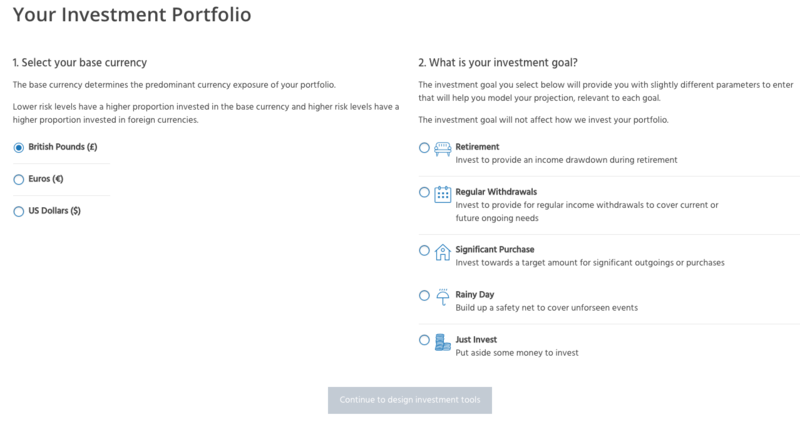 Once you accept the terms and conditions you can access the "design an investment" section (image below). Once you select your goal you are requested to enter the investment type, the level of contributions (initial contribution and the ongoing monthly contributions) and finally the risk level you are comfortable with. Since we last reviewed Netwealth it has changed this slightly and ensured that the risk level is the last thing you select, meaning you can easily jump back and forth and see how the differing risk levels affect the performance, a minor niggle last time, and it is pleasing to see that Netwealth has listened to feedback and improved the user experience. Once selected you are presented with a number of graphs showing "Simulated Historical Annual Returns" along with "Best and Worst Returns over a 12 Month Period". When we last reviewed Netwealth, very little information was available at this stage, but it is pleasing to see that you can now see the full picture by clicking on the 'Full details of holdings' button. As the risk level is the last question, you can now easily jump back and see the full holdings of all risk levels, another improvement for 2019. Netwealth has a minimum initial contribution of £5,000 which you currently only find out when you are presented with an error message if you try to enter less than that amount. Technically Netwealth has a minimum investment of £50,000 but under the terms of their Netwealth Network (see later) it is technically possible to open an ISA with £5,000. Next you are presented with a suggested investment composition in line with your risk profile and goals. You can then choose to review and invest or speak to an adviser. When we last reviewed Netwealth you were able to save at this point and it seems a shame that it has removed that option. If you click on 'Full details of holdings' you will be able to see the portfolio suggestion broken down into its various asset classes even if the actual funds are not shown. There are also investment projections highlighting potential outcomes which fall within a broad range. This is fairly standard for robo-advisers as the absence of a long track record (many launched less than three years ago) often prevents them from displaying their actual past performance. A notable omission from the Netwealth sign-up experience was any form of risk profiling questionnaire. In the early days of robo-advisers this approach was very common but now many of the larger organisations like, Nutmeg, Moneyfarm and Wealthsimple take new customers through risk profiling questionnaires so they can ascertain which of their portfolios may be most suitable. In addition, this profiling exercise also helps screen out potential users whose circumstances mean that investing is really not suitable for their needs (e.g if they have no savings and/or have outstanding debt). This has still not been addressed and was one of our major criticisms in our review in 2018, because with a £50k minimum investment requirement, risk profiling is essential. One final observation was that at no stage was I prevented from entering unrealistically short investment timeframes or entering contributions below the minimum threshold. While I have no doubt that at the point of depositing money I would have been encouraged to deposit more to meet the threshold it looked unlikely that my initial 1-year timeframe was going to be challenged. Whilst the Netwealth website is certainly easy to use I find it surprising in today's competitive robo-advisor market that it does not yet offer a mobile app. Many of the most popular low-cost managed investment solutions have well-designed mobile and tablet apps which allow customers to fully manage their accounts and check their portfolio's performance with just a few clicks. Rather confusingly there is a Netwealth app in the Apple app store however this appears to be solely for Australian customers of the aforementioned Australian company (of the same name) as my login details did not appear to work. Having done some research, in November 2018, Netwealth posted a job vacancy for a UX designer, with one of the main responsibilities being the development of a mobile app, so, assuming they filled the position I expect one to be released some time in 2019. What products does Netwealth offer? General Investment account - allowing customers to invest in any combination of seven risk levels. There is also an option to open a Junior general investing account. Charity, Trust and Corporate Accounts - a discretionary management service also offering cash flow planning. How does Netwealth manage its portfolios? Netwealth portfolio management is an ongoing process using an experienced investment team. They state that investment managers meet regularly to discuss any economic or market risks that could affect long-term portfolio performance. Any adjustment to portfolios is made within a low-cost environment and the client's risk profile. Netwealth will monitor and review your portfolio annually and go one step further than the likes of Moneyfarm and will flag you and follow it up with a phone call if they believe you should take action. What is Netwealth's investment strategy? Netwealth's long-term mix of asset class exposure is the main driver of its portfolio returns through the investment cycles of its seven risk levels. A broad range of assets is considered for inclusion in their portfolios to provide exposure to assets classes that perform well in different economic circumstances. Netwealth invests predominately in passive funds and exchange-traded funds (ETFs). These funds provide a diversified exposure to each asset class in a cost-effective way. Netwealth investment managers monitor markets regularly and make cyclical adjustments to portfolios to address economic or market risks. Any cyclical adjustments will not affect the risk profile or cost of individual portfolios. Does Netwealth offer financial advice? In addition to the above, there is also an underlying fund charge of 0.30%. Netwealth also offers an investing network service (Netwealth Network) where a customer can invite up to seven family members or friends to join their network to collectively benefit from cost reductions. The fees that each member pays are calculated on the total invested amount of all members of the network. So if seven members each invested £50k they would all qualify to receive the reduced fee of 0.50% normally reserved for individual investors who have £250,000 to £499,999 invested with Netwealth. 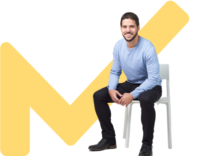 The Netwealth Network also allows invited individuals to invest the minimum of £5,000 in their ISA rather than opening their own Netwealth account which requires a minimum investment of £50k. The portfolio of each invited member is managed separately by Netwealth, they simply share the same fee structure as their counterparts. This is an interesting way for customers to collectively reduce their fees (as long as the initial investor still meets the minimum investment requirement of £50k) even if in reality it is a thinly disguised "member get member" marketing initiative. How do Netwealth's fees compare to other robo-advisors? Wealthsimple charges an annual fee of 0.5% up to £100,000, but you can get your first £10,000 free in year 1. This annual fee is reduced to 0.4% for investments over £100,000. In addition there is an ETF charge averaging at 0.1% per year. Scalable Capital charge an annual fee of 0.75% on the total amount invested, with no reduced fee for larger investments. In addition there is an ETF charge averaging at 0.25% per year. Nutmeg charge an annual fee of 0.75% on its fully managed service but this drops to 0.35% for any assets over £100,000. In addition there is an ETF charge averaging at 0.19 % per year. Moneyfarm charges a maximum annual fee of 0.7% reducing to 0.4% for investments over £500,000. In addition there is an ETF charge averaging at 0.3% per year. However, I have secured an exclusive offer for MoneytotheMasses.com readers that means Moneyfarm will give you half price management fees for the first £15k of your money for a year. 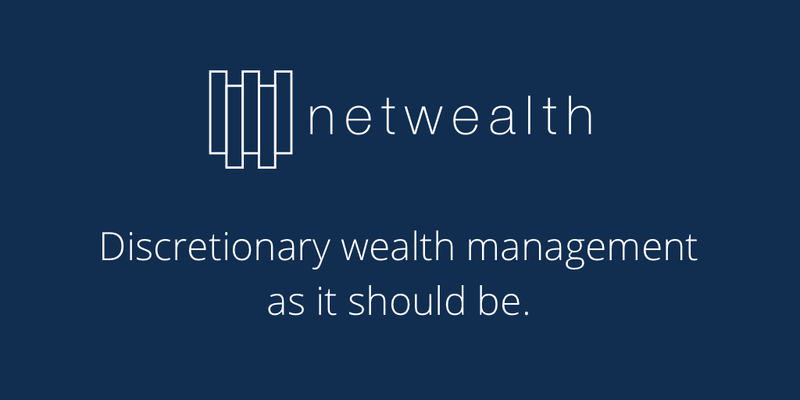 Unlike many other robo-advisor propositions (such as Moneyfarm and Nutmeg), Netwealth has no historical performance data on display anywhere on its website. Given that their minimum investment is £50,000 it seems like a huge leap of faith for a potential investor to hand over such a sizeable sum without the reassurance of a transparent track record. Wealthsimple, on the other hand, will let investors open an account with as little as £1. This means investors can familiarise themselves with the brand and their product before committing a significant amount of money. In addition, Wealthsimple is backed by one of the largest financial companies in the world (Power Financial Group) which certainly gives new investors additional reassurance. What protection is there from Netwealth going bust? Netwealth clients' assets are held by a third party, SEI Investments (Europe) Ltd, who are regulated by the Financial Conduct Authority and investments are protected under the Financial Services Compensation Scheme up to £50,000 per client. 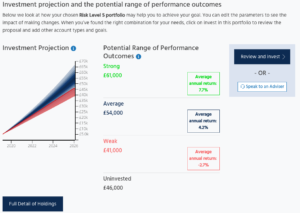 Overall Netwealth offers a slick online proposition but with such a high minimum investment requirement of £50,000 Netwealth is clearly hoping to attract clients from the higher end of the wealth management market. Yet the lack of past performance data, no mobile app and less financial backing than some other robo-dvisers, Netwealth is aimed more at affluent investors who are already familiar with Netwealth's more traditional discretionary wealth management services (who may even want to visit their offices for face-to-face meetings which is possible) but who want a more streamlined (and therefore cheaper) management approach. 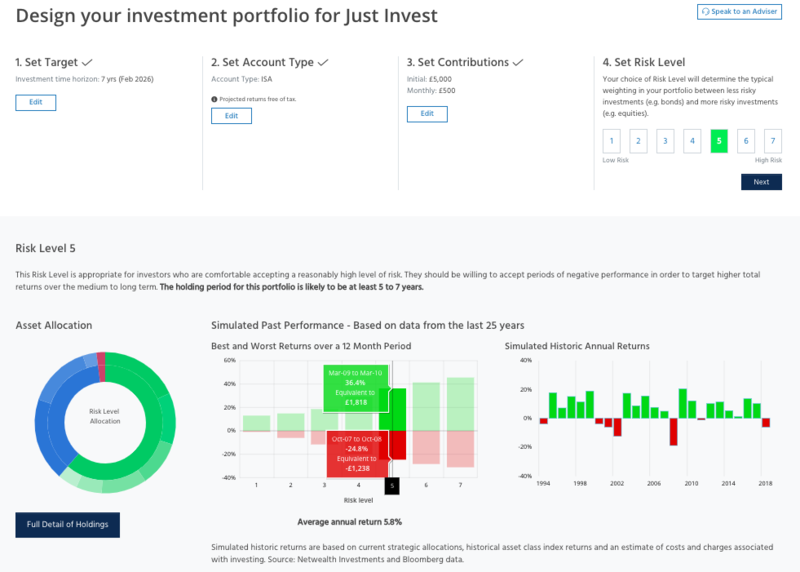 For investors seeking a low-cost investment solution that will manage their investments with low minimums and easy to use mobile apps it is worth reading our reviews of Nutmeg, Moneyfarm and Wealthsimple who are some of the most popular robo-advisers in the UK. What is a ready-made ISA portfolio?